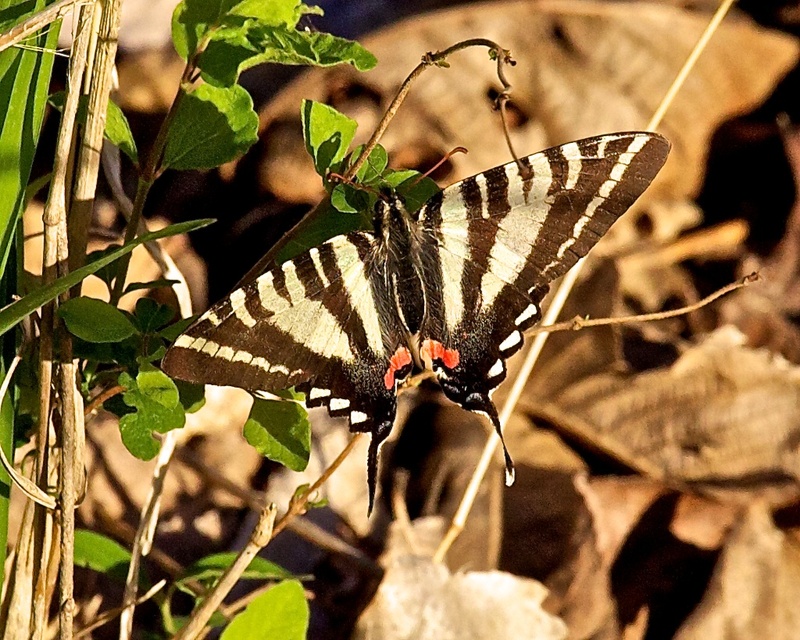 The Zebra Swallowtail butterfly feeds almost exclusively on the leaves of the Pawpaw tree. When searching for the pawpaw fruit late in the summer, it is always a good indicator of nearby trees when these zebras are sighted. I was surprised to see them this early in the spring since I had seen no butterflies of any kind before today, and the pawpaws have just barely started to leaf out. The several days of 80 degree weather must have stimulated them. 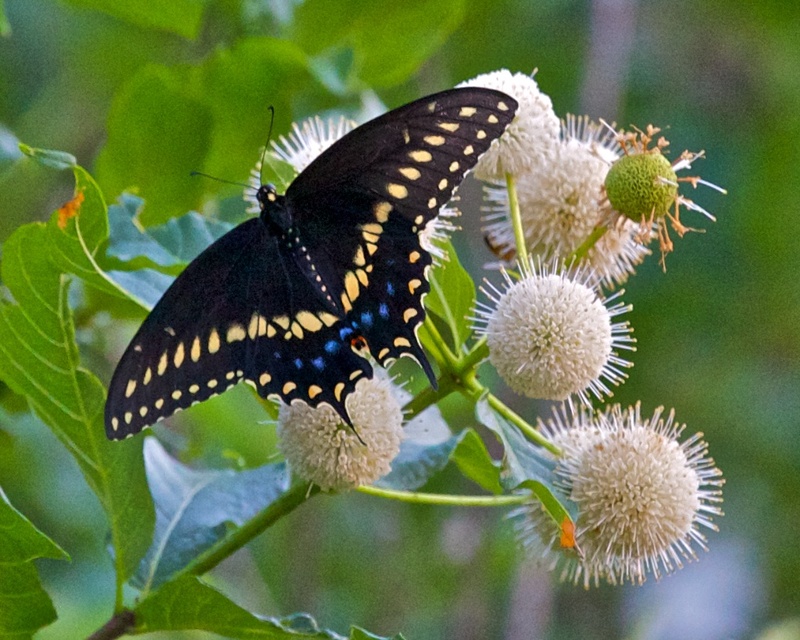 I’ve been told that seeing the Zebra Swallowtail Butterfly is a sign that Pawpaw trees are nearby. Sure enough, after a year of looking, I found my first stand of pawpaw trees. 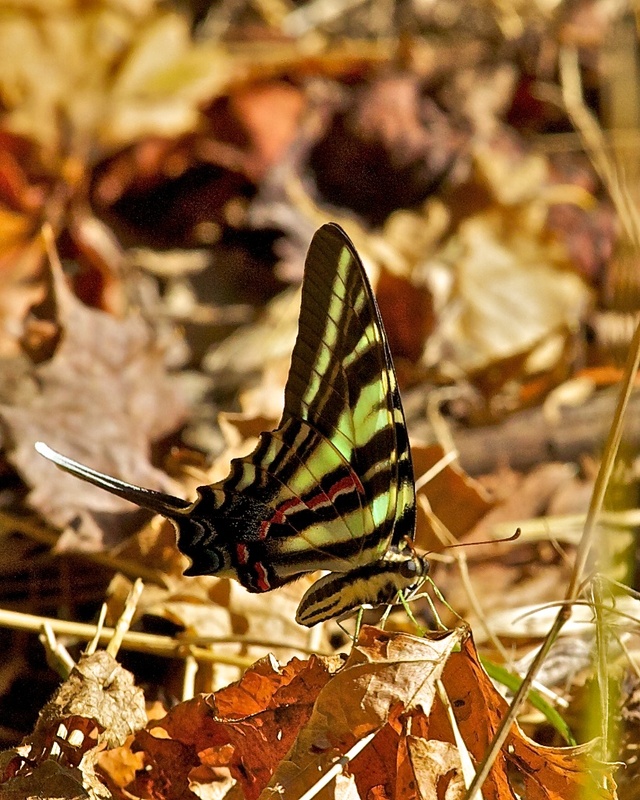 Glancing around, I soon spotted this lady flitting about.